Though this dish is a classic, it was not in my parents’ repertoire, so I don’t cook it with the benefit of muscle memory. This recipe hits all the sentimental chords, and you barely have to don an apron. It is fast, straightforward, and the dish will be clean before it leaves the table. Preheat the oven to 350 degrees. In a large mixing bowl, combine all the ingredients and 4 tablespoons of the ketchup. Form the mixture into a large loaf and place on a sheet pan lined with parchment paper. Rub some extra ketchup all over the top and sides of the loaf in a thin layer. Season with salt and pepper. Bake for 45 minutes to an hour, until the internal temperature is 140 degrees. 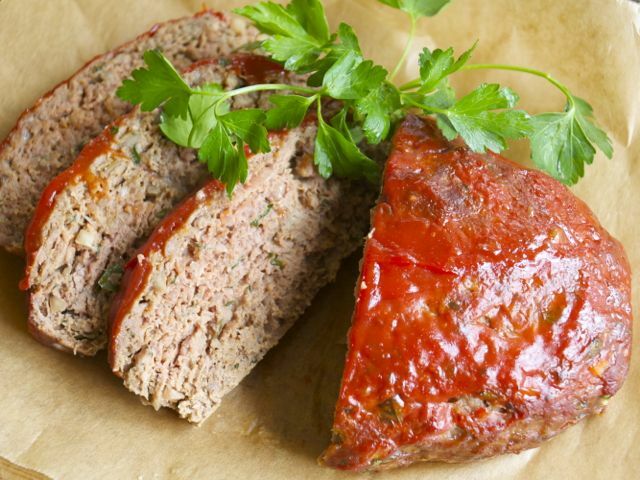 Remove the meatloaf from the oven and rest for 15 to 20 minutes before slicing and serving.